Cocoa, Coffee and Cookies with Santa and Friends! Our Annual Tree Lighting has been a Sherman Oaks favorite for years. Join us for hot cocoa, coffee and cookies with Santa and receive a take home photo as a keepsake! 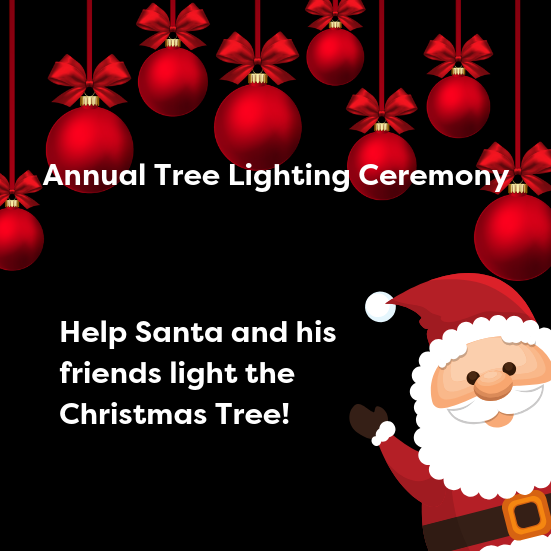 Evening includes entertainment, crafts, photo opps and the lighting of our spectauclar 40 foot Christmas Tree!